It offers the most cost-effective alternative for skin protection and pressure sore prevention. Firm mattress mode with timer to facilitate nursing care during dressing change and patient repositioning. 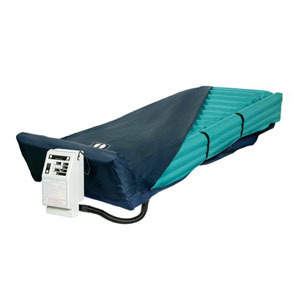 Includes SelectAir® pump mattress with foot pillow, zippered nylon cover and a 1" foam pad.